What do I do in a healing session? I told her I assess the electromagnetic energy field around my client’s body and assist in rebalancing her energy so she can self-heal. More specifically, I told her that if it were her session, she would be lying comfortably on the table fully clothed with her shoes off. Soft music would be playing in the background. I would move my hands about three inches slowly above her and note any variations in her energy field. Then I would feel and assess her aura, mainly with my hands. If I found an area that felt “thick” or “stagnant” I’d use my hands in a sweeping motion to move and clear the thickness from that part of the body to restore a smooth energy flow in her energy field. If I found an area that felt cold, I might place my hand on the body, letting the energy flowing through me revitalize and warm the area. A balanced body heals itself. 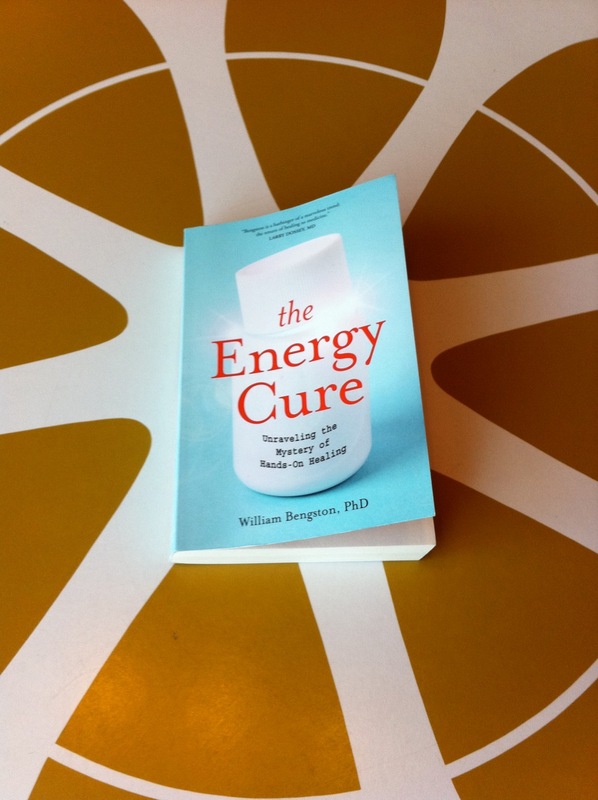 I should really call myself an energetic rebalancer instead of an energetic healer. But that would mean even more explaining! When your energy is balanced and flowing it is so much easier to feel relaxed, grounded in your body and fully present. You can physically feel the difference before and after the session. This is the practical no-nonsense explanation of what I do in a healing. Yet my clients come out of their sessions and report seeing colors, images, or feel like they traveled to another place during their sessions. Clients have also said they have experienced the divine or have felt a very deep peace. Clients have to discover this in the healing session for themselves, because it would take too long for me to explain! Have a wonderful weekend and please feel free to call or comment with any questions. Phone: 510-601-9632. 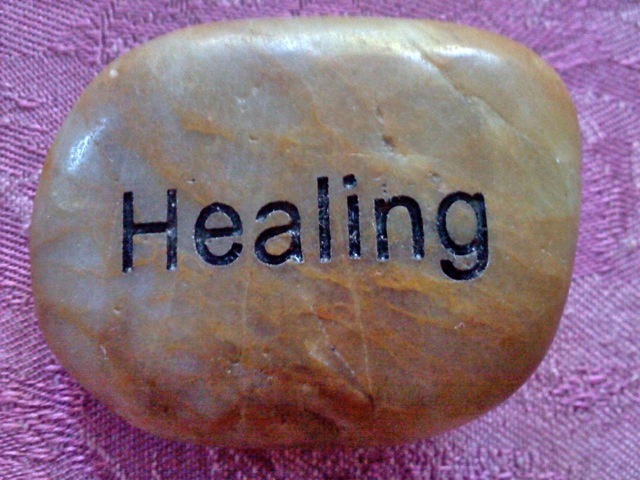 Writing and blogging about healing is so much more difficult than the actual healing. Healing is easy. I am guided by the energy. I completely trust that whatever happens in the session is what needs to happen for my client. Writing takes discipline, patience and revisions. The words I use to describe healing many times just don’t match the experience. There is so much going on, on so many levels and even though I feel completely present – super conscious, really, in my sessions – I guess it happens beyond my mind. It’s amazing and yet it is so simple. Blogging and writing about my healing practice has helped me realize that I need to trust the energy that guides my life and my writing as much as I trust the energy that guides my healing sessions. The more I trust, the easier it is to manifest in my life. One of my personal goals as a healer is to be able to manifest as effortlessly outside the healing room as in the healing room. You hear a lot about “being present” and “being in the moment”. How do you know if you are “present”? Maybe you feel that you are not as present in your life as you could be, but how do you “get present”? 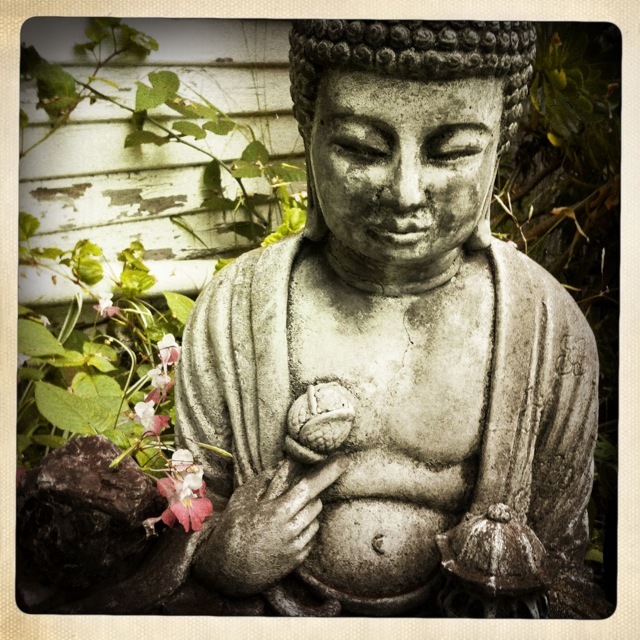 One way is to meditate. Another way is to get a Healing Touch Session. I have witnessed so many clients make incredible shifts in their life because they felt what it was like to be more present. Being present and being in the moment is something you have to experience to understand, a tangible difference you can feel from before the session to after the session. Once you know what being present feels like, it is SO much easier to get back there. It is also easier to go deeper into it. Breathing in a group is a wonderful way to experience Clarity Breathwork for the first time. 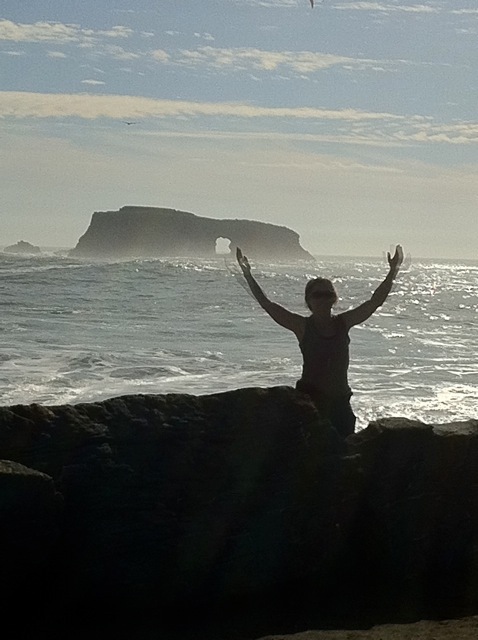 Mary Gaetjens and I hold monthly Clarity Breathwork Circles in Emeryville, California. Our last Breathwork Circle was last Monday, and even though it’s now Friday, I’m still feeling the deep connection and healing energy that the circle created. Facilitating these circles with Mary is as profound and as powerful as breathing in the circle. I am always amazed at the breakthroughs, insights and transformation that happen each month. Breathing in a group creates an energetic space that is incredibly supportive and consciousness changing. Breathing in a group is also a wonderful way to connect and be in community with other people who are committed to their personal growth. In my Breath practice I regularly have private sessions that take me to profound states of higher consciousness and keep me emotionally, physically and mentally balanced in my daily life. Yet I have also found that breathing in a group gives me access to energies and supports me in ways I may never have experienced otherwise. We invite you to check out our Circle! Our Clarity Breathwork Circles usually meet the first Monday of every month. The next Circles are scheduled for October 3rd, November 7th and December 5th. 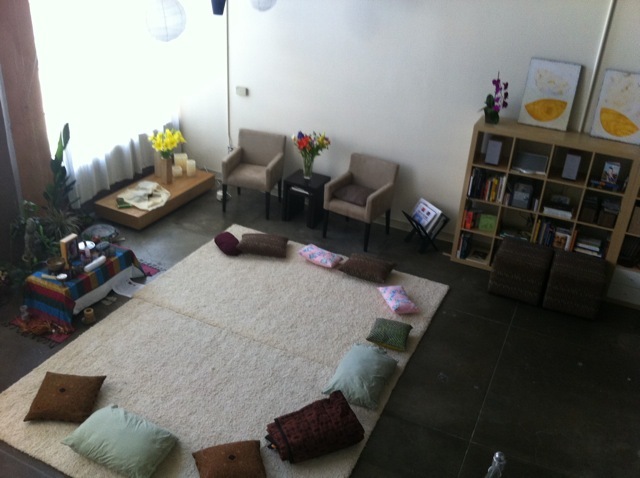 The circle starts at 6:30 pm and is over at 9:30 with plenty of time to integrate your experience after the Breathwork. The exchange for each circle is $35.00. Call Mary at 510-393-7671 or myself at 510-601-9632 for directions and to reserve a space. We do limit the number of monthly participants to 12. I decided to make Healing Touch and Energy Therapy my life’s work because of the sessions I had experienced while working with clients who have decided to go through chemotherapy. I have been working with clients diagnosed with cancer since 2001. I believe anyone going through chemotherapy should have Healing Touch available to them. I have had so many clients walk into my healing room with muscle pain, nausea, fatigue and headaches due to chemotherapy. Many suffer mentally and emotionally knowing that they have many more rounds of chemotherapy ahead of them. My clients report feeling so much better after their session. Most clients feel better for hours or days after and some just don’t experience many of the side effects of chemotherapy at all. Healing Touch sessions are done with the client fully clothed, on a massage table with relaxing music playing. 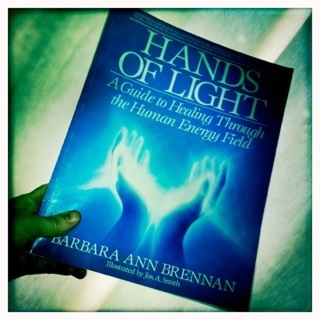 I assess my client’s energy field by feeling the area around their body with my hands. Depending on what I find, I usually do a 15-minute Chakra Connection with at least 30 to 40 minutes of Magnetic Clearing. The Chakra Connection is a gentle full-body technique that connects, opens and balances the flow of energy throughout my client’s physical body and energy field. The Magnetic Clearing is an essential technique I use when working with clients going through Chemotherapy because it clears excess chemo from the energy field. Before beginning a Magnetic Clearing, I set my intention to clear all chemo out of my client’s energy field not needed to heal the cancer. A Magnetic Clearing is done from 1” to 6” off the body depending on the client’s sensitivity. I start slowly and gently about 12” above my client’s head and “rake” my fingers over the body about 12” past the feet. Clients tell me afterwards that this is very calming. I repeat this as many times as needed to clear the field. I have Healing Touch sessions that are 90% Magnetic Clearing. Usually I can feel with my hands the chemotherapy drugs in my client’s aura. I can also feel the individual layers of the energy field as each level clears. I have had some clients who just release or shift all at once after many passes of the Magnetic Clearing. I observe them as they exhale deeply and I watch something just click into place. They usually smile at this point. Magnetic Clearing can help a client’s emotional or mental state by supporting the release of fears, and mental confusion or fogginess—“chemo brain.” Clients have told me that they are more profoundly aware of with their own inner guidance after the session. This makes it so much easier for them to handle the many medical decisions they have to face throughout their healing process. I have had friends ask me if working with so many cancer clients is depressing. It’s just the opposite. It is actually thrilling to be able to help another person in such a positive way when they need it the most. There is not a better feeling in the world. I have unbelievable job satisfaction. Please call with any questions or to schedule a healing. 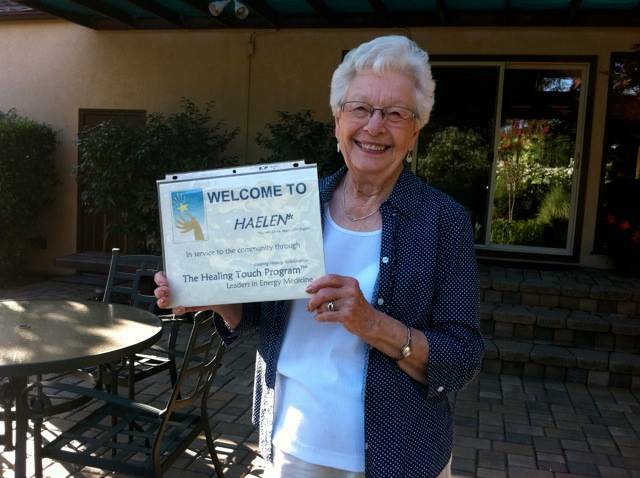 If you or someone you know is starting or currently going through Chemotherapy outside the Oakland/Berkeley area you can check the Healing Touch Website for other certified Healing Touch Practitioners. Special thanks to Suzanne Mittica for her insights and suggestions on this post. 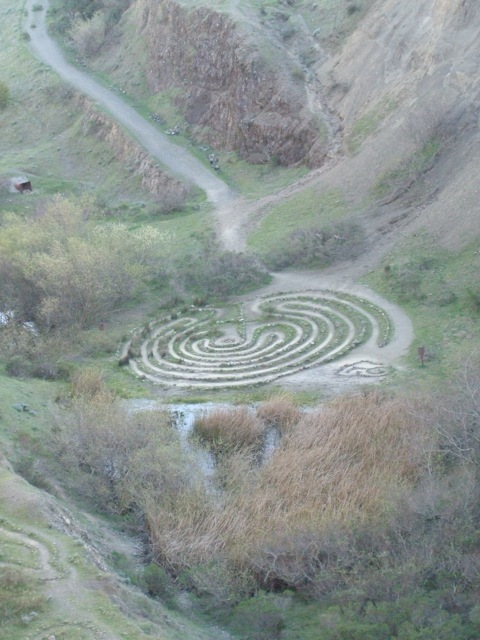 I first saw the universal energy field when I was visiting my mom in Missouri around 1991. We were sitting on the grass in front of a large pond. It was a clear sunny day, and as we were talking I saw bright white spots of light floating over the water. I remember pointing them out to my mom and she could see them too. I have never seen such large white globs of light as I did on that first day. Now I sometimes see a red and black center in the white globs. I also see them at night in the dark before I go to sleep. My healing room has two windows. The south wall of the space has three large windows and there is one small window on the east side of the room. 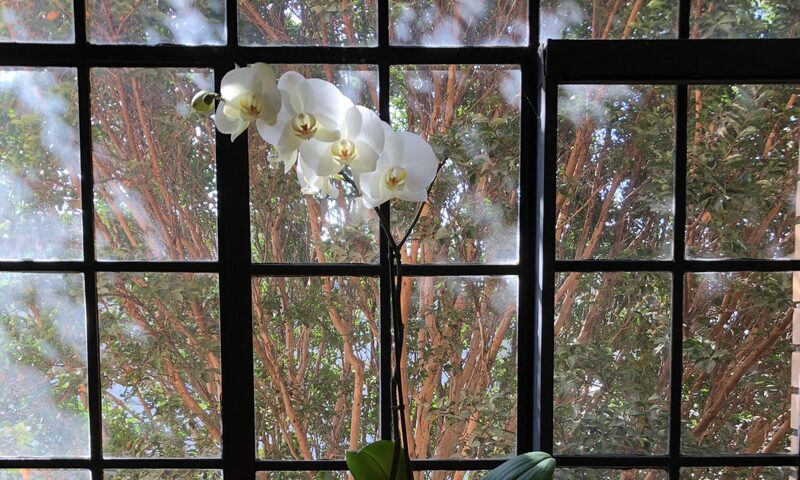 The room is full of bright indirect light on sunny days, even with the thick double white curtains pulled closed. In the various healing states that I navigate through during a healing, the most common visible phenomenon I see are the white lights of the Universal Energy Field. During my healings the lights are like little spiraling fireflies flashing bright for a second then fading out. Sometimes the sparkles fill the whole room. It’s nice to see when I’m in a deeper state of consciousness, kind of comforting. Sometimes, too, I just see the squiggle and not the light, like the room is full of dancing gnats. Everyone can learn to see the universal energy field if they are open to it. A great way is to lie down or sit comfortably outside and look up at the sky. Make sure the sunlight is not shining directly in your face, so your eye and facial muscles can relax. Then just relax, wait and enjoy the moment. As Richard Bartlett says “Notice what you notice.” Suddenly, you will just see it. I’ve shown my clients and Reiki students the Universal Energy Field. It’s usually very easy to see right after you’ve had a healing. I still find it thrilling that here is this phenomenon of energy right in front of us and all we have to do is open up to it. After your next Healing, see if you can see the Universal Energy Field. One of the reasons I do Clarity Breathwork regularly is to release limiting beliefs. I have found many of my limiting beliefs to be imprinted in my body, dormant and therefore inaccessible until something activates them. The more I do Clarity Breathwork, the easier it is to detect if my intuition and my gut feeling about a current situation in my present life originates from my higher guidance or from something else– like my childhood conditioning. Another dormant childhood belief spontaneously surfaced recently while I was working out at a gym with an outdoor 25-yard-lap pool. It had been raining on and off in California for weeks and on this morning it was starting to drizzle again. The pool was warm and inviting with soft white steam rising from the blue water. As I slipped into the pool, the first light raindrops started falling, creating intricate circular patterns on the water’s surface. The pit of my stomach tightened. I ignored the sensation, started swimming and the feeling got worse. I even felt threatened, like my life was in danger. Being in the water was not safe. I stopped swimming after one lap and looked around. The other swimmers were leisurely doing their laps. No one looked dangerous or concerned. Why did I feel so uncomfortable? Should I get out of the water? Suddenly it came to me. In Missouri where I grew up, we never stayed in the pool when it was raining. In my mind’s eye I saw images of myself and other children frantically scrambling out of the water at the first splash of a raindrop. We were told we would certainly be hit by lightning if we hesitated for even one second. My mother was especially vigilant about keeping us from getting killed by a lightning bolt, and understandably so. My mind had totally forgotten this experience of Midwestern life, but my body obviously still remembered. I am still surprised at how physical this imprint was and how my strongly my body reacted to a situation it had been conditioned to believe was unsafe. I had never been swimming in the rain since I was a child, so my body had not updated the survival information: it’s safe to swim in the rain in California. Before doing Clarity Breathwork, I don’t think I would have been able to connect with my body quickly enough to understand where the dangerous feeling was coming from. As soon as I became conscious of the childhood memory, the dangerous feeling vanished and I relaxed instantly. That morning I had a remarkably soothing and peaceful swim in the gently falling raindrops.